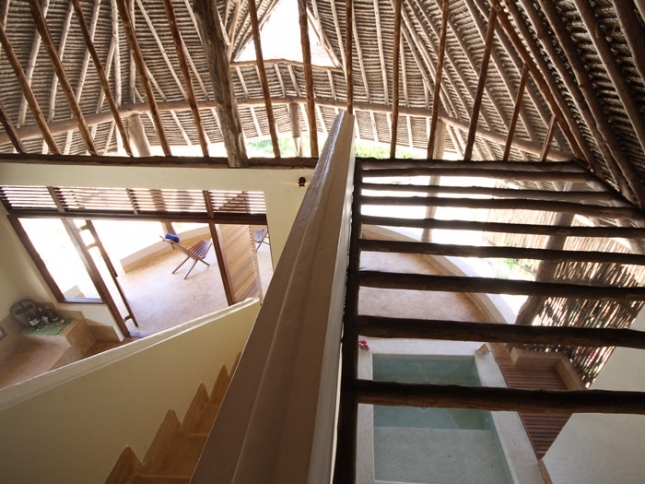 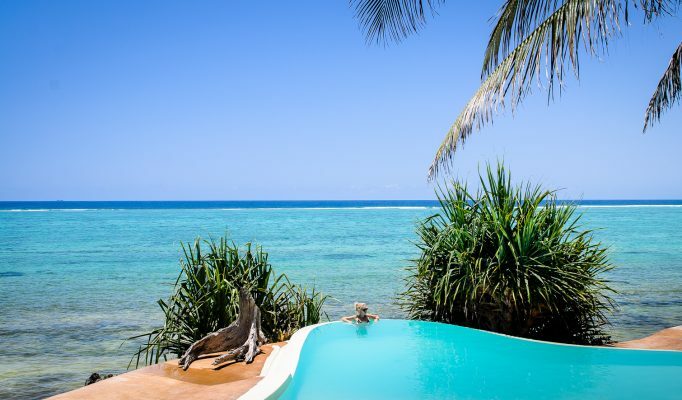 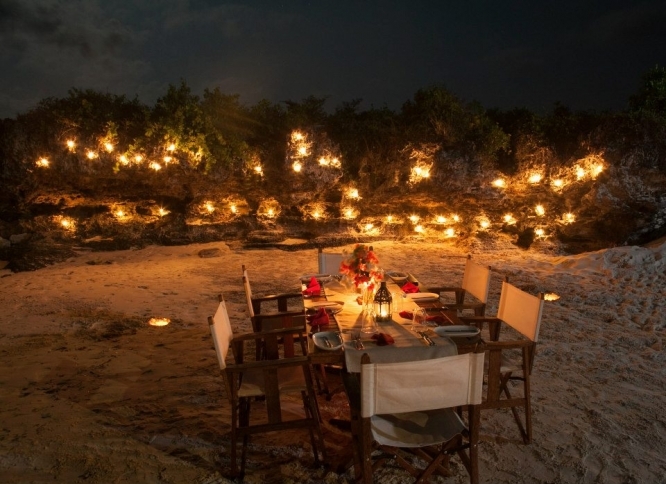 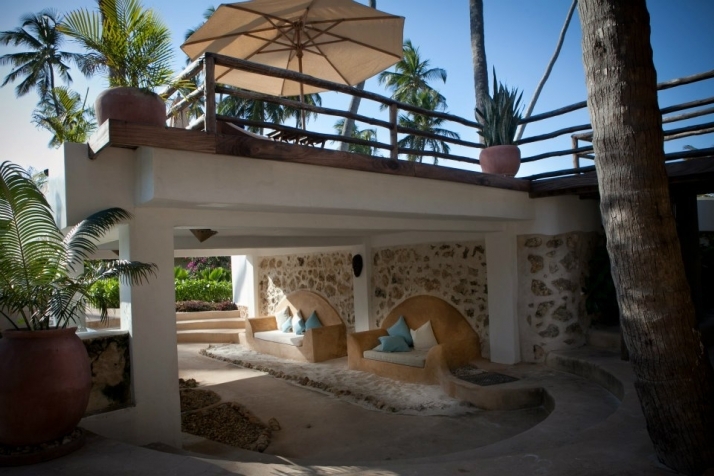 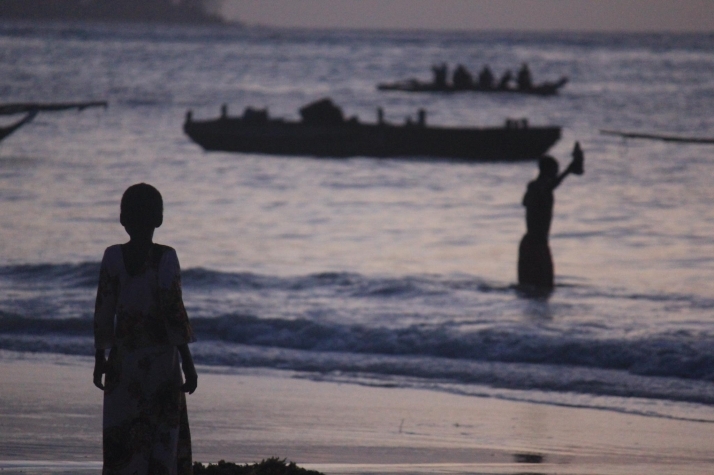 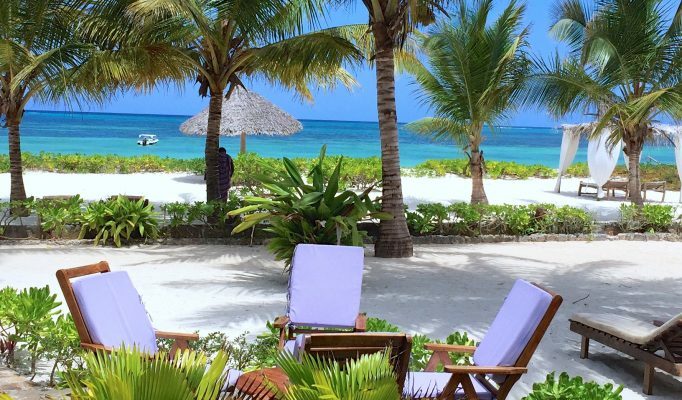 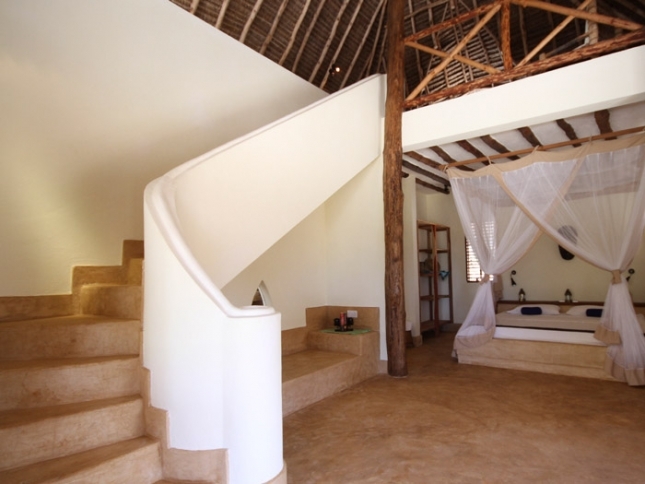 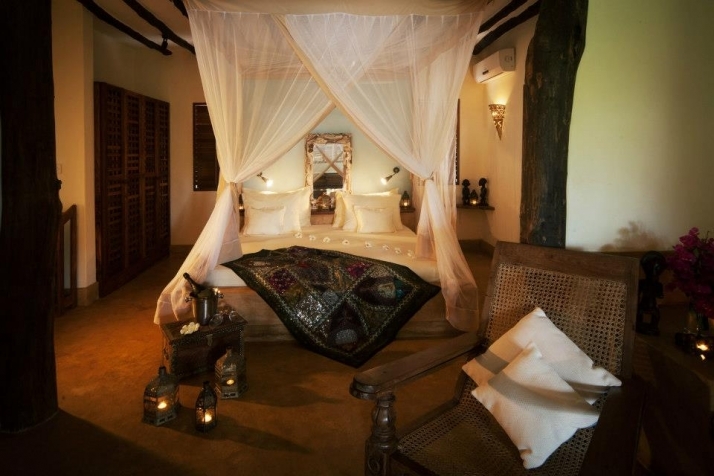 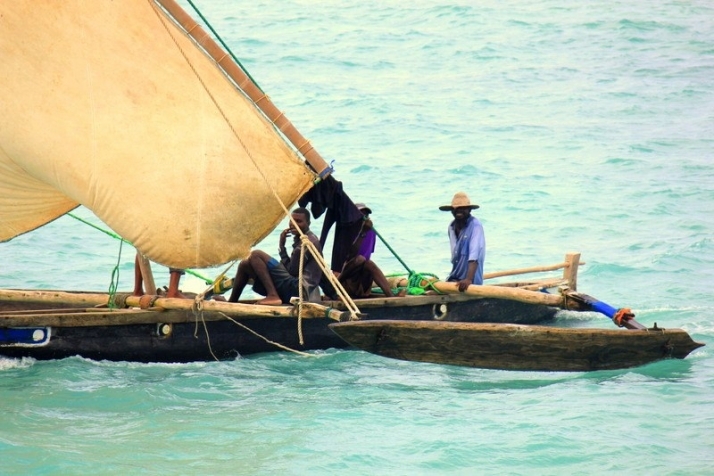 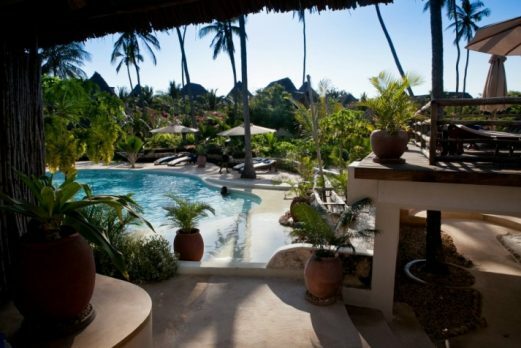 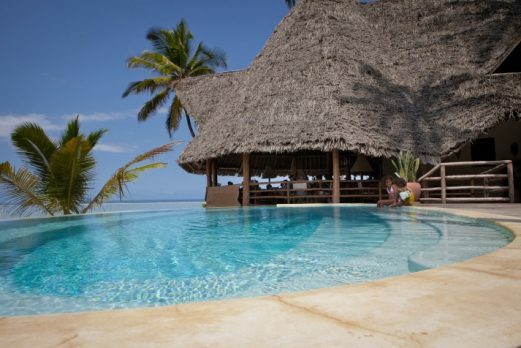 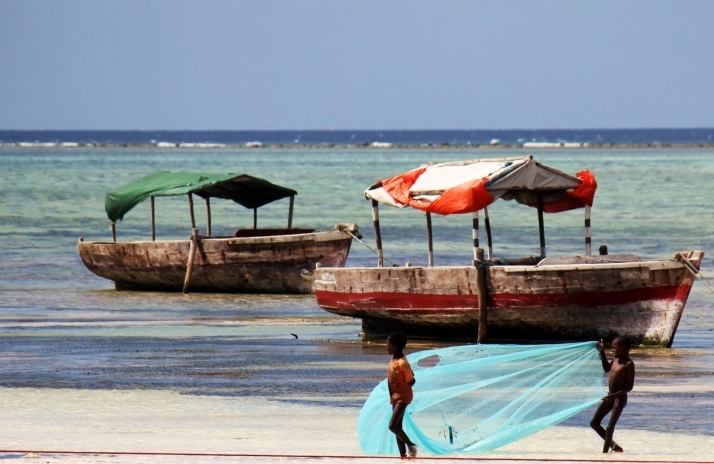 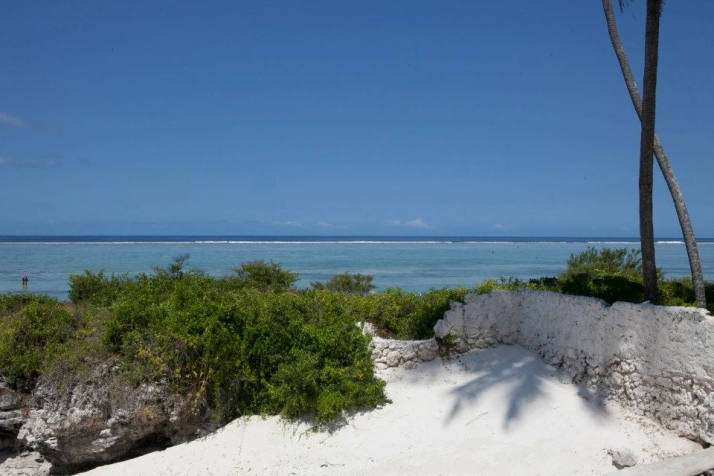 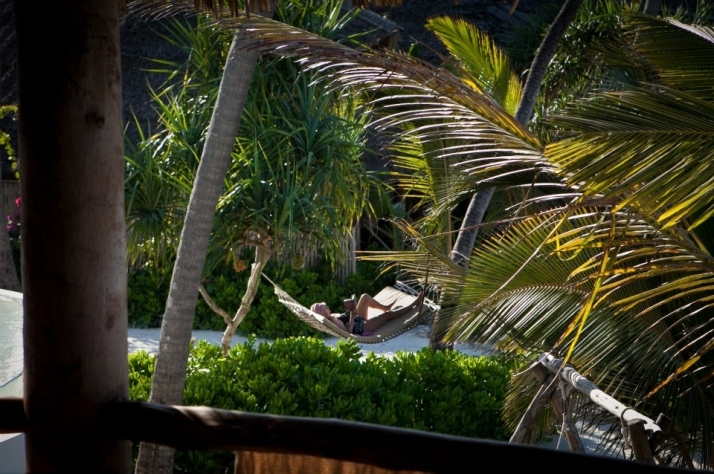 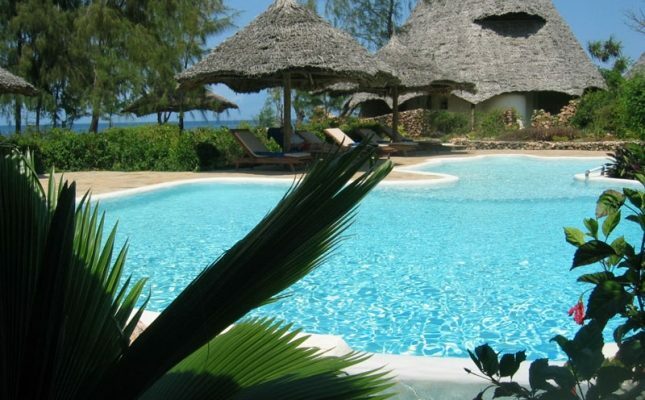 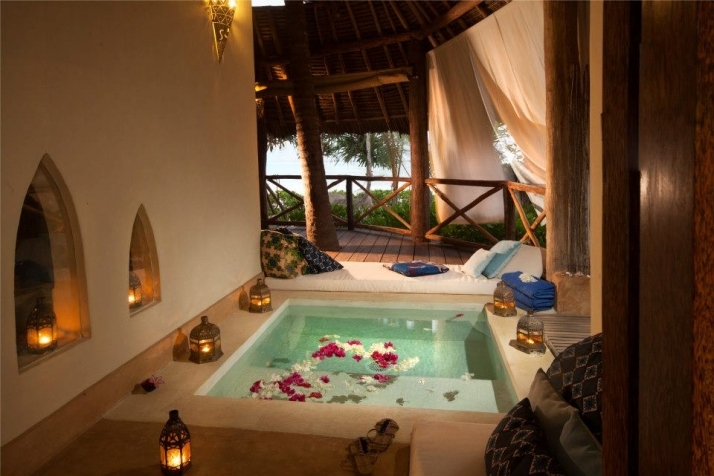 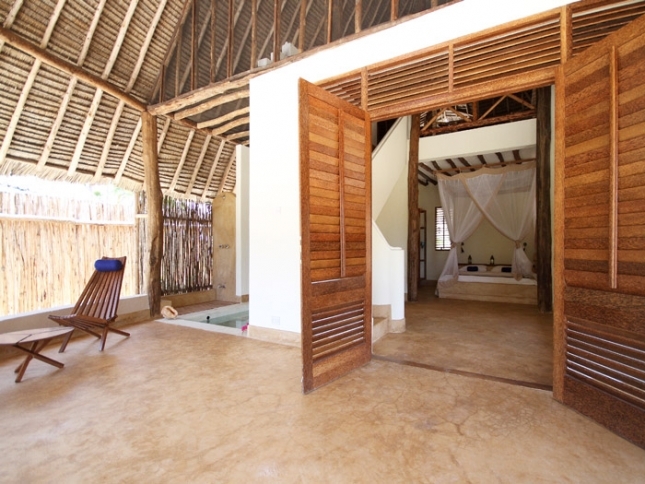 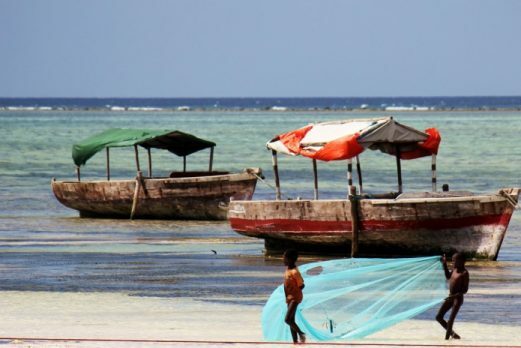 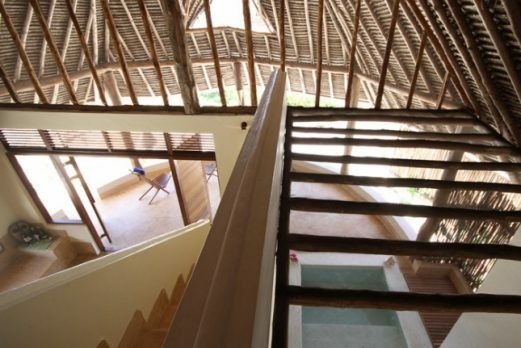 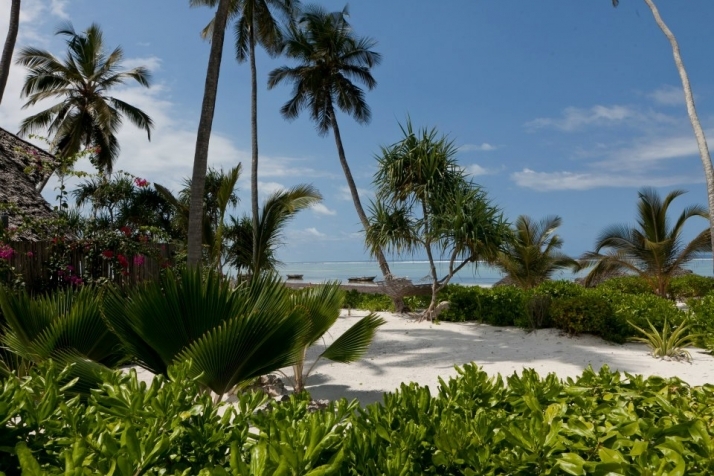 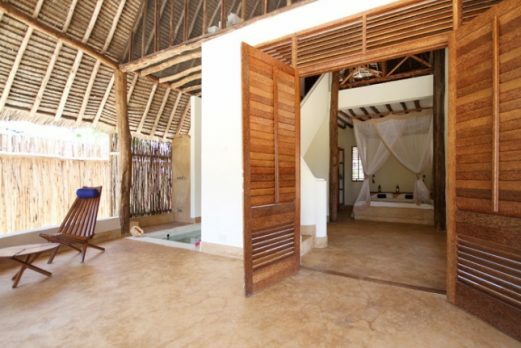 Located in Matemwe, a very intimate bay in north-eastern Zanzibar, surrounded by a tropical garden with a direct view of the small island of Mnemba. 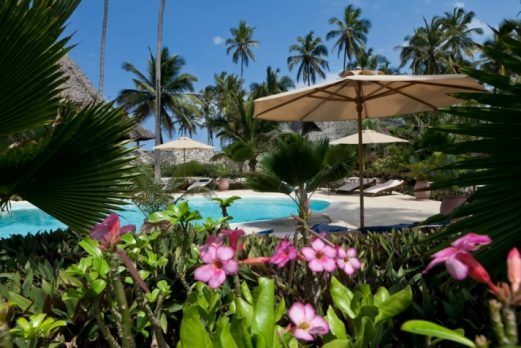 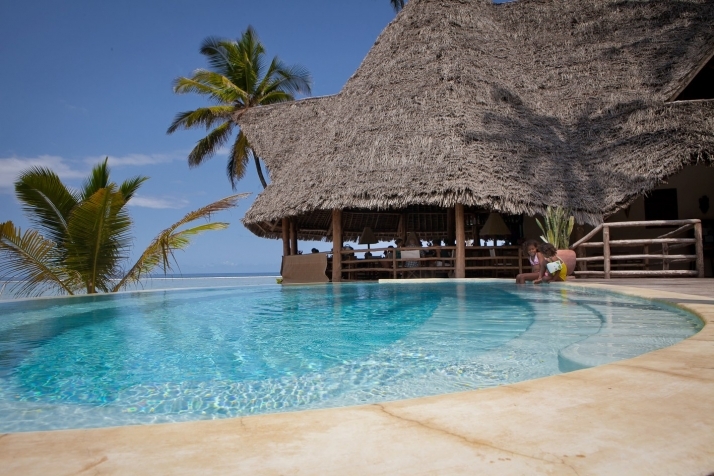 The comfortable, relaxed and well thought-out architecture of this very intimate resort is characterized by the simple elegance that is typical of the island style: white walls, wooden verandas, palm-thatched makuti roofs – surrounded by lush, tropical vegetation. 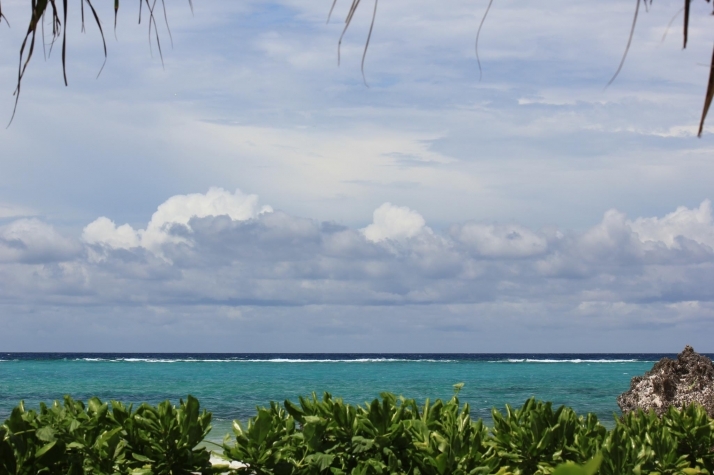 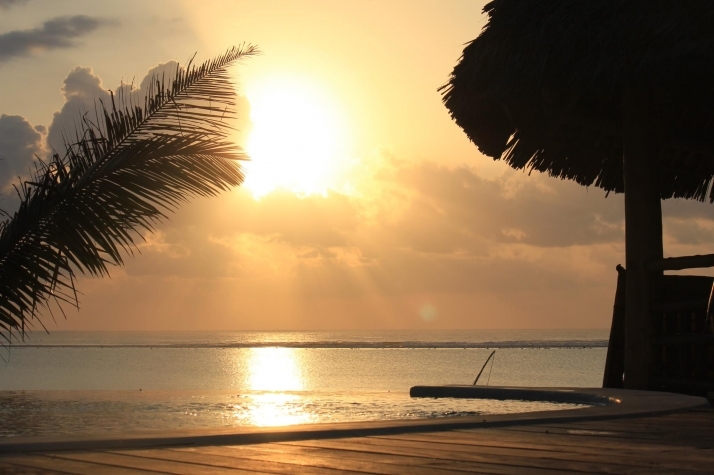 The lodge comprises 13 generous Sea Breeze Bungalows, 7 Garden Bungalows, 3 Poolfront Bungalows, 3 Oceanfront Bungalows and 1 Luxury Ocean -Front Villa/Honeymoon Villa. 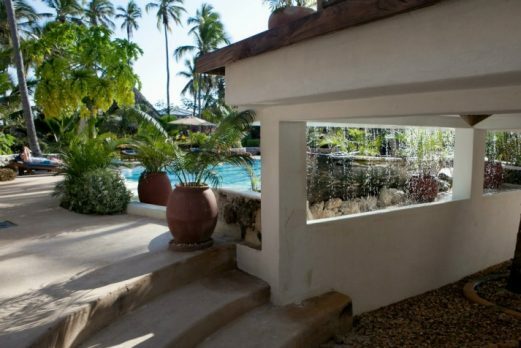 and spacious outdoor shower. 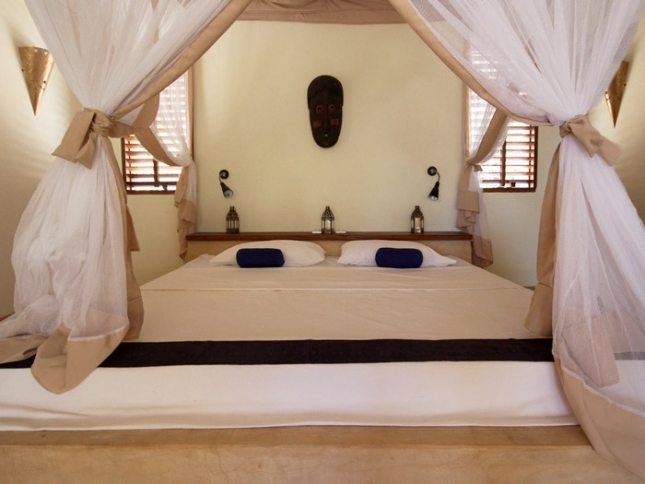 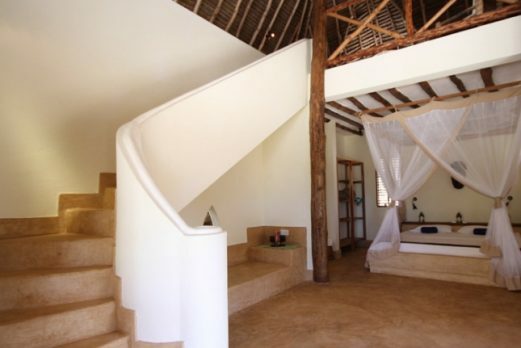 The rooms are all about luxury and privacy with the gentle sea breezes giving a real chill out vibe. 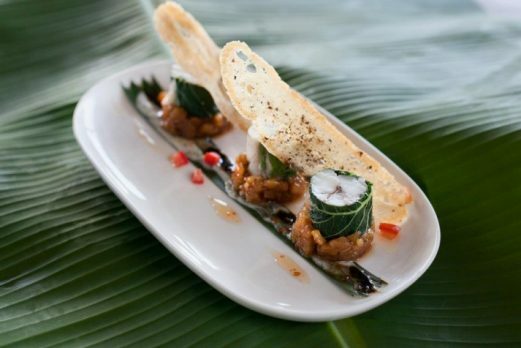 Green & Blue has set itself the goal of being the best restaurant on the island and from what we have sampled thus far, they have achieved exactly that. Although lunch, not included, is expensive. 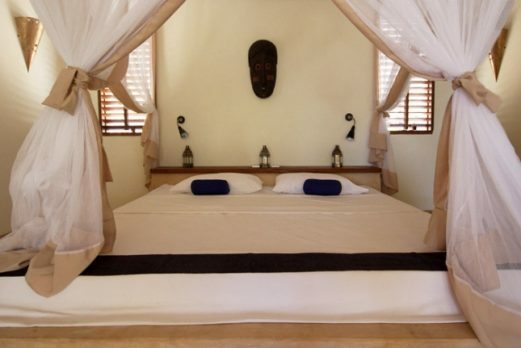 A good small hotel on the island and ideal for couples/honeymooners. It is pricey but we are working on them!